Jared Wickerham/Getty ImagesAndy Dalton had a 30% completion percentage Thursday night. The Cleveland Browns cruised to a 24-3 victory over the Cincinnati Bengals in a Thursday night dud of a game. 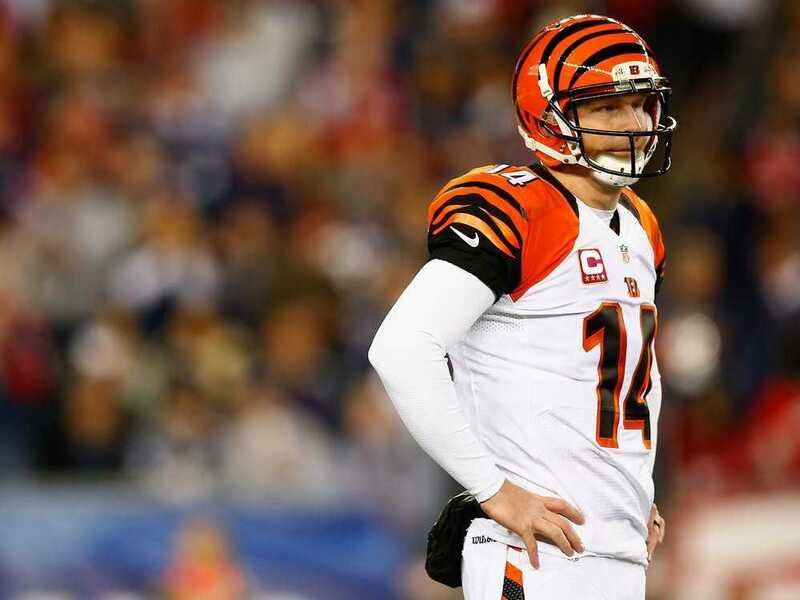 The Bengals struggled offensively the entire night, highlighting a historically bad performance from quarterback Andy Dalton. Dalton, who signed a huge deal this offseason, completed just 10 of 33 passes, threw for 86 yards, 0 touchdowns, and 3 interceptions. He finished with a 2.0 passer rating. It was easily the worst performance of a starting quarterback this season — nobody has had fewer yards and a lower passer rating with 30 passing attempts or more. However, to find a performance equally as bad as Dalton’s Thursday night takes some serious digging into the record books. ProFootball Talk’s Curtis Crabtree says according to STATS, Inc. Dalton is the first quarterback since the Giants’ Scott Brunner in 1983 to post a passer rating of 2.0 or less on at least 30 attempts. It’s only the fifth time since 1960 that a quarterback has posted a 2.0 rating on at least 30 throws. Additionally, Dalton’s 30% completion percentage is the worst since for a quarterback with at least 30 attempts since Stan Gelbaugh of the Eagles completed only 20% of his passes in 1992. It clearly never got better.